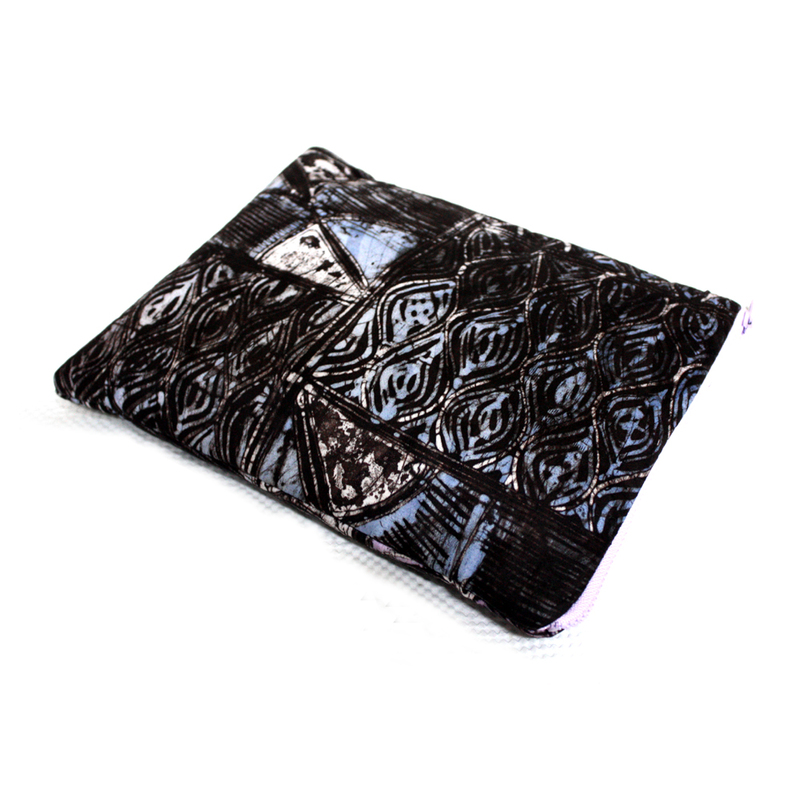 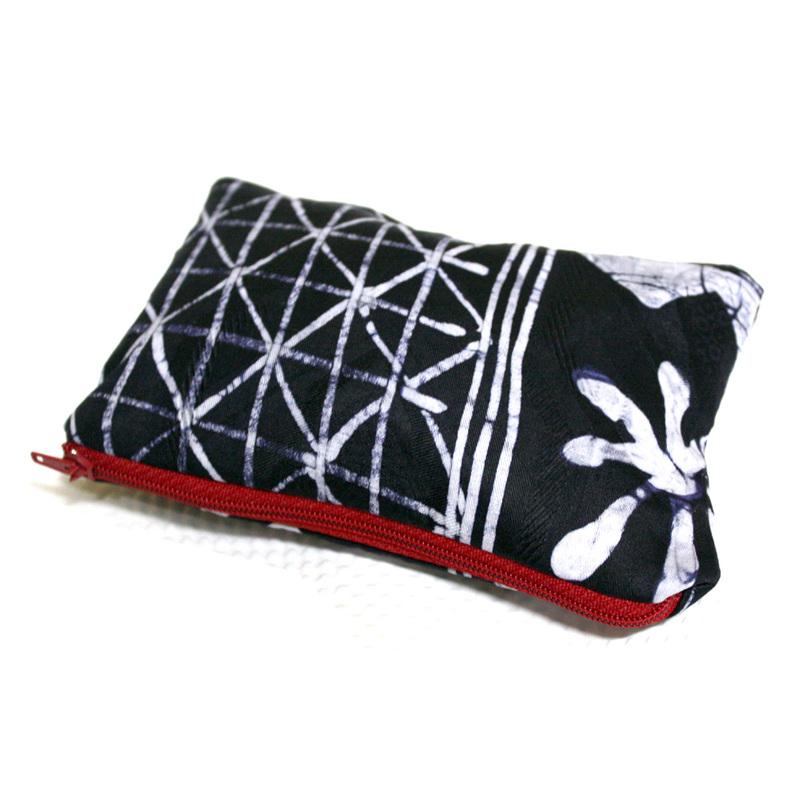 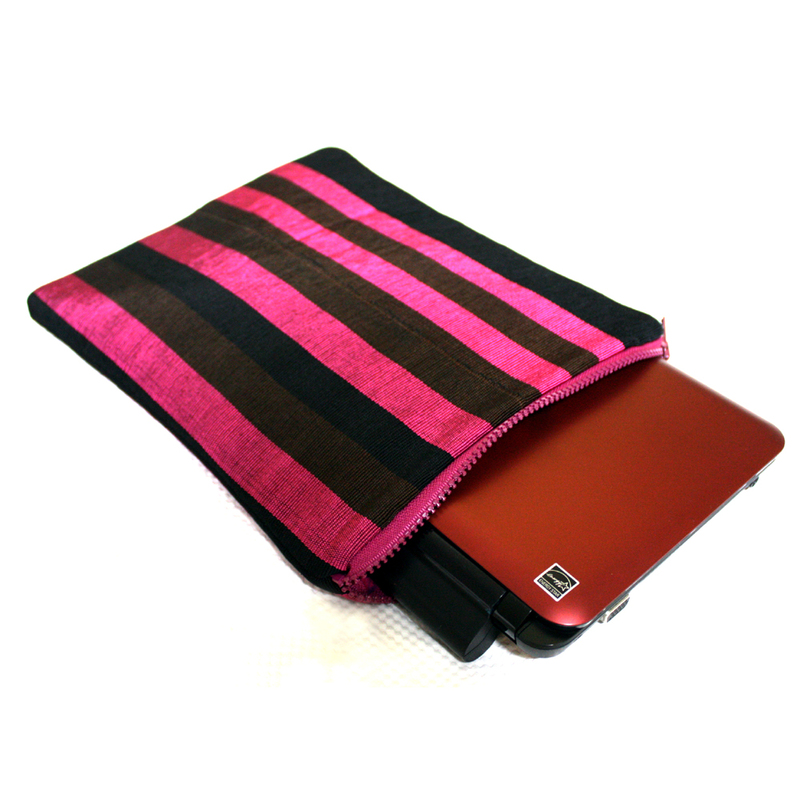 Make a statement with this cool little gadget sleeve which gives you a funky way to store and transport you Netbook, iPad or any other gadget you like. 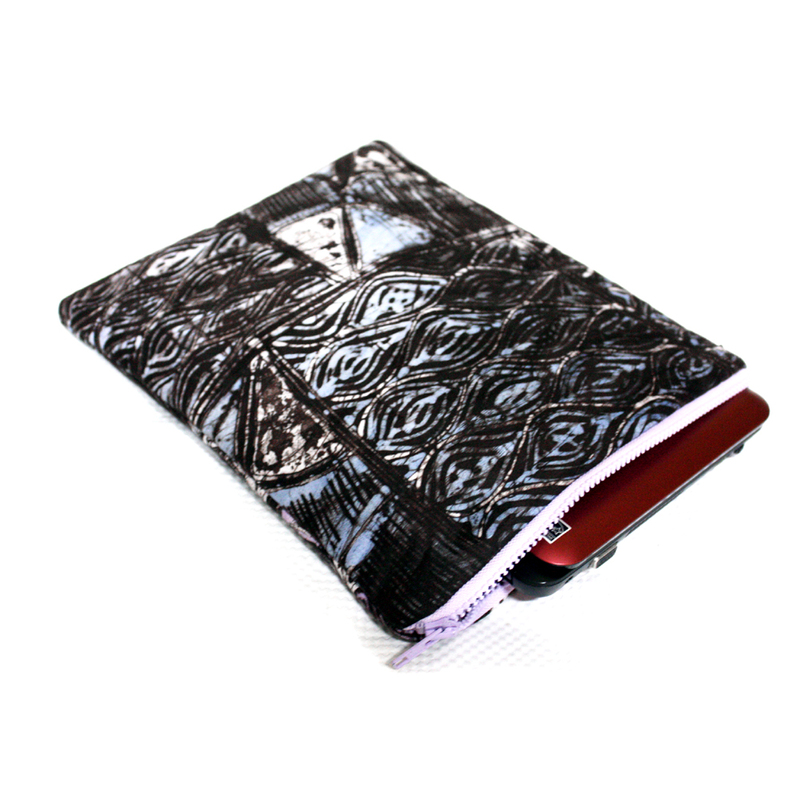 The case has several layers of padding so your gadget is protected from bumps and scratches. 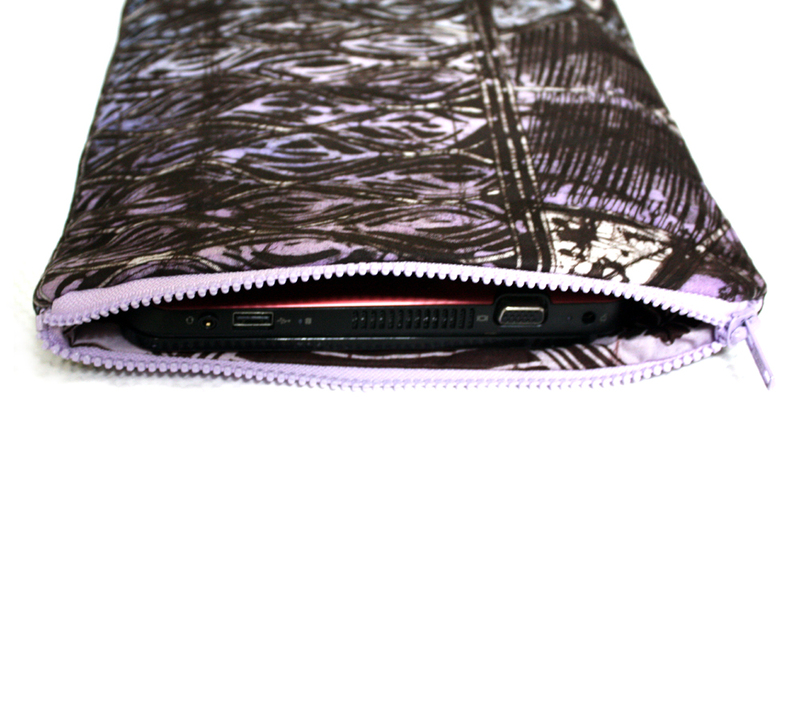 It also closes with a funky chunky zipper keeping everything in place. 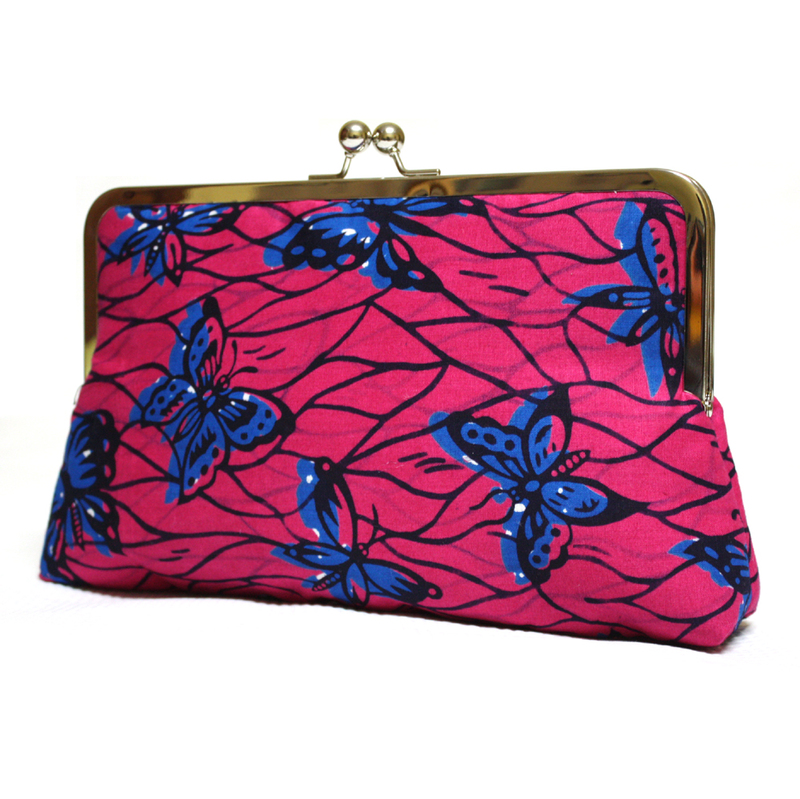 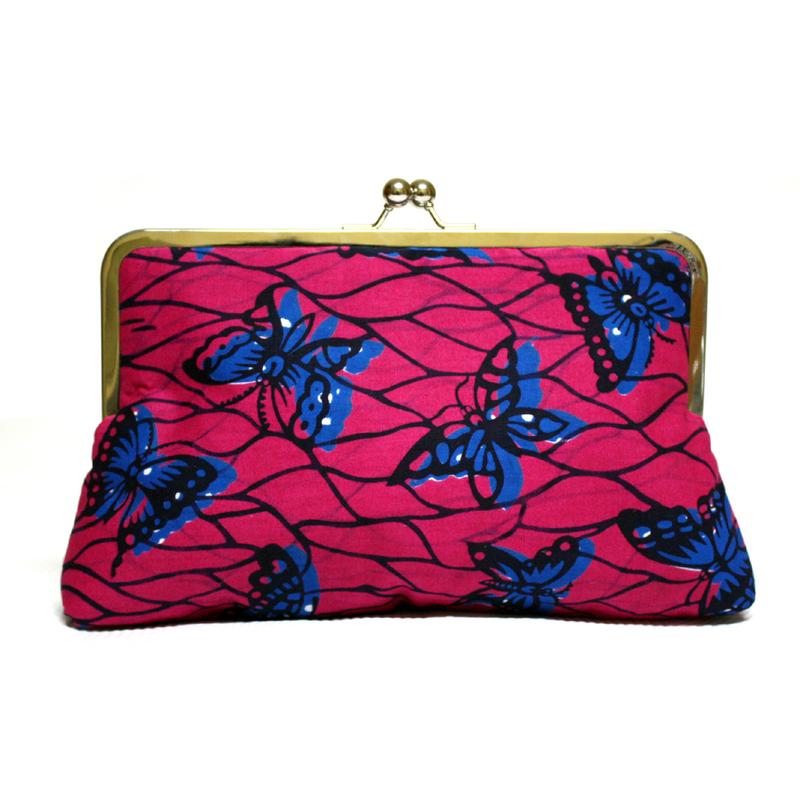 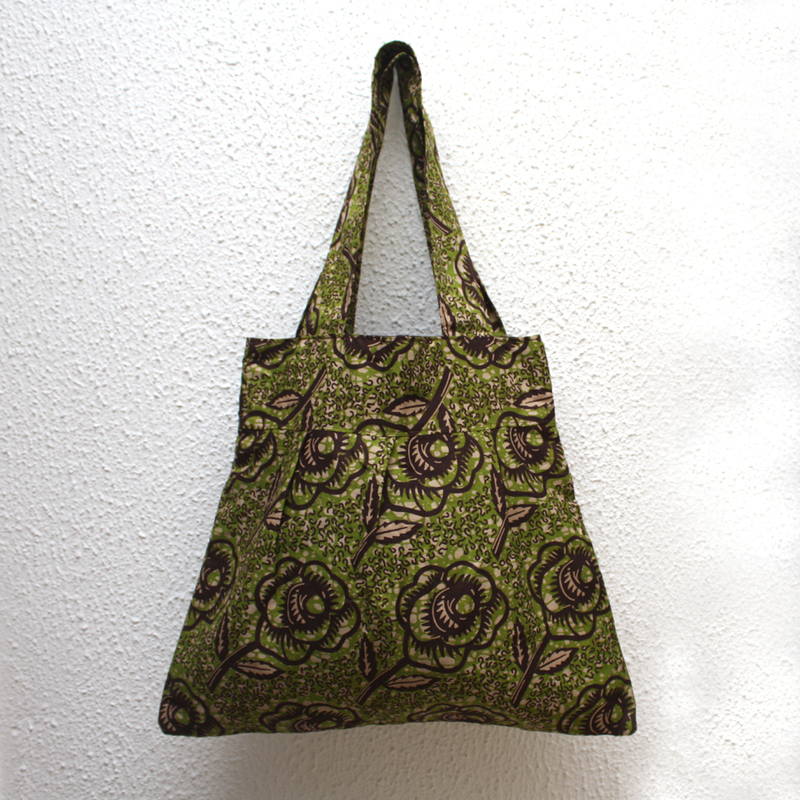 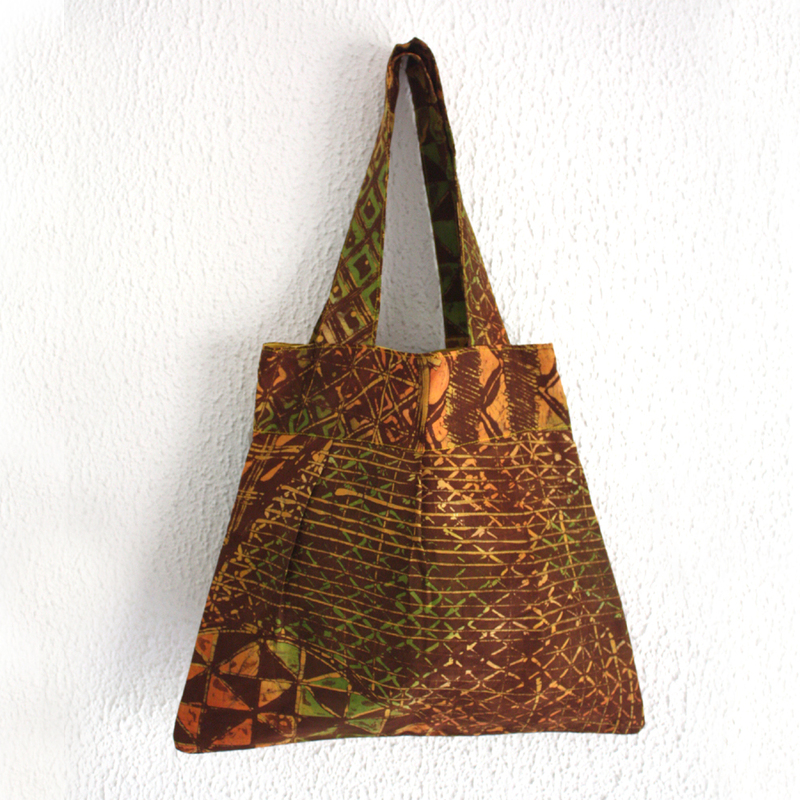 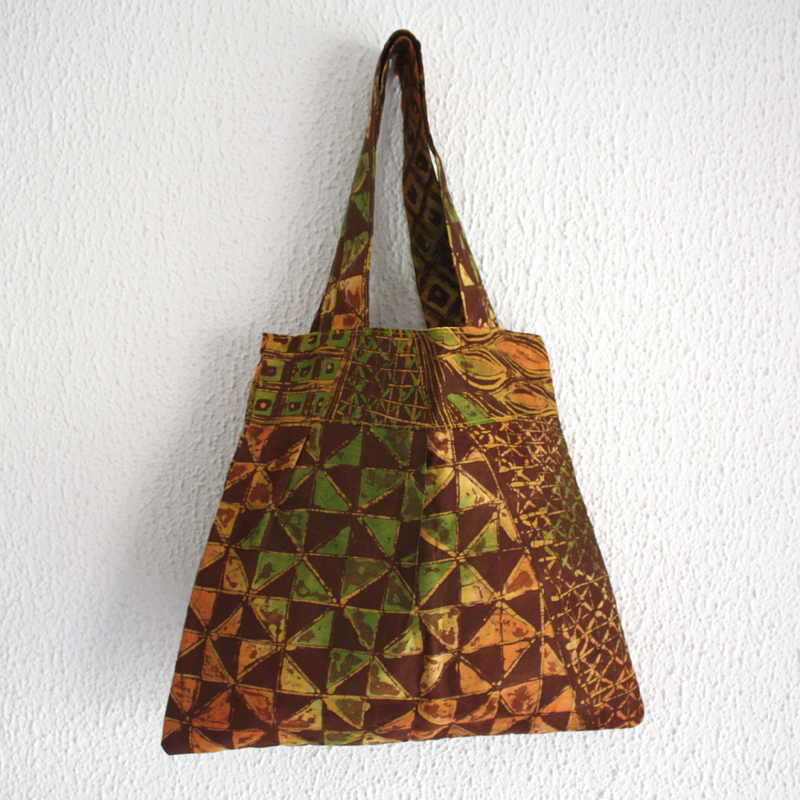 This Africa-inspired piece is made in a fabric from Nigeria known as ‘Adire’ which is a handmade and hand-dyed fabric. 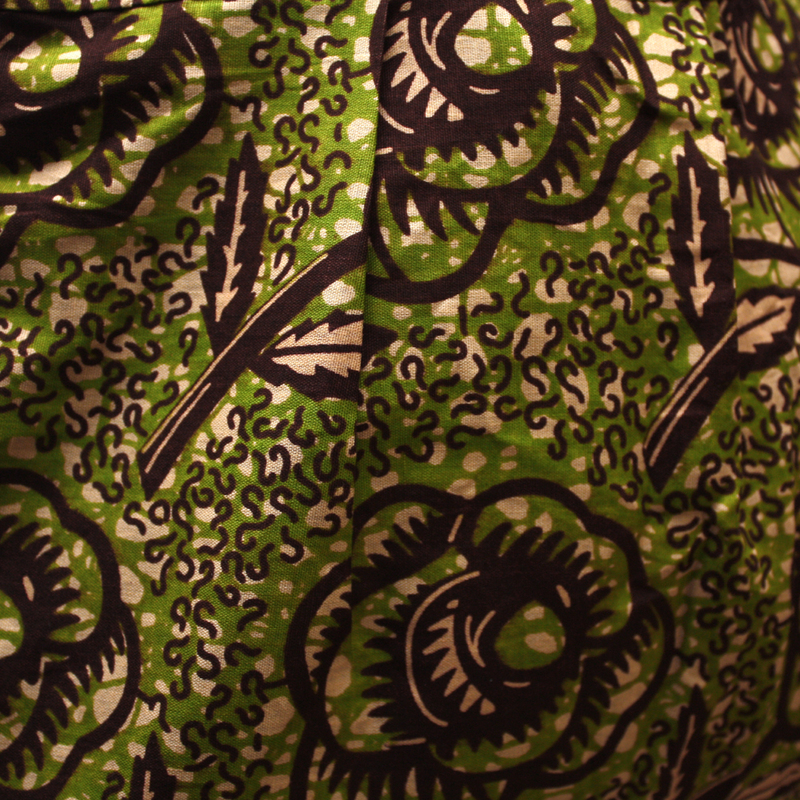 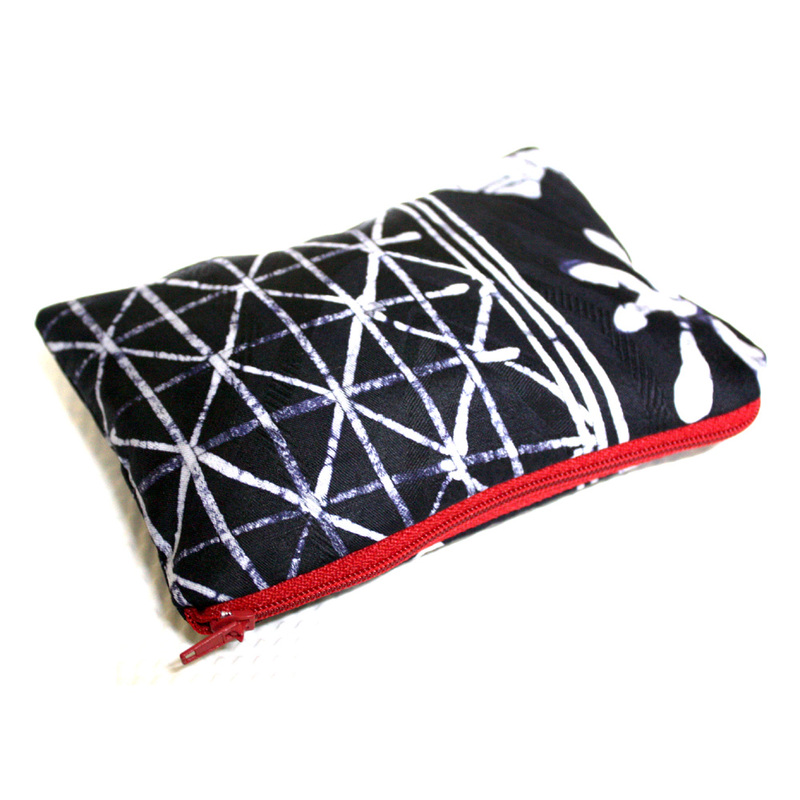 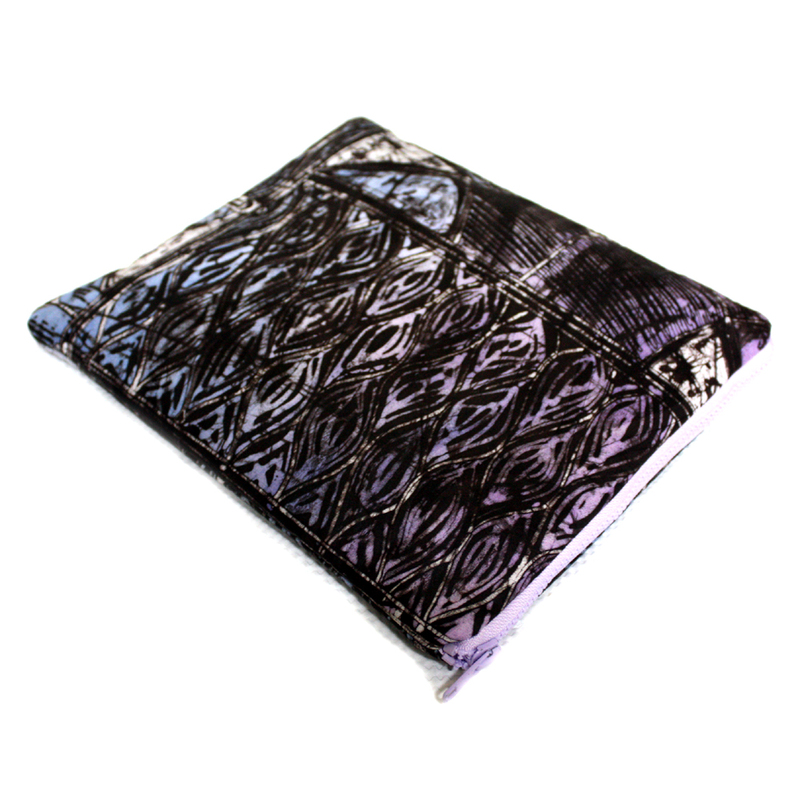 The sleeve is also lined internally with a print cotton fabric in a complementary colour palette.